I spent last fall in Barcelona, interning at Catalonia’s branch of Médicos del Mundo – or translated in English, Doctors of the World. This is an international human rights organization that empowers and provides health services for vulnerable populations. Today, 400 programs exist in over 80 countries, and the programs are largely spearheaded by local teams. I got to join one of these local alliances: I worked with six women in an office tucked in the non-gentrified half of El Raval, a historically immigrant neighborhood of Barcelona. The office was about the size of a large bedroom, six desks lined the walls and a square window overlooked the narrow street outside. Dense files, packets and large colorful posters were scattered all around the room. When I arrived around noon, the office was always a full house with local volunteers were constantly rushing in-and-out the door. This community was like a family. Laughter and banter – mostly in Catalan, the regional language of Catalonia – filled the room, while a sense of determination united each and every employee. 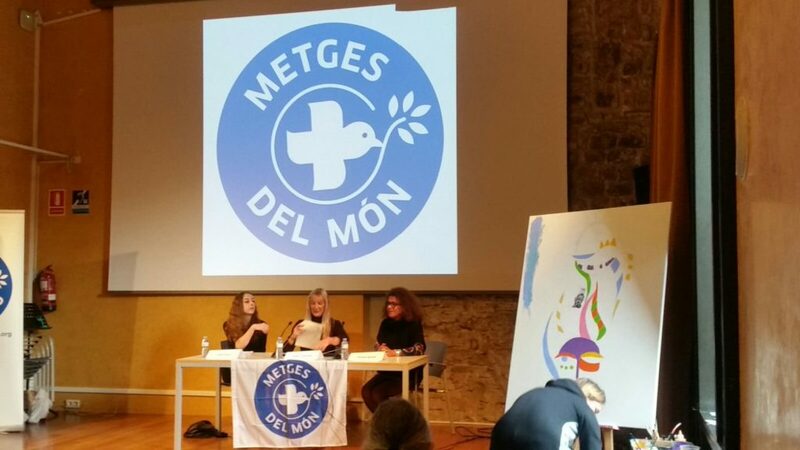 Three women lead a panel discussion in Transgenerant, an annual event that promotes transgender awareness in Barcelona. But no matter the size of the office or staff, it was truly astounding how much work they did for Barcelona’s most vulnerable populations. Luckily, I got to engage with some of their initiatives. I designed promotional materials for their annual transgender awareness day, facilitated a roundtable about female genital mutilation in Barcelona’s African migrant community and assisted with a high school course on health inequality. What really put me out of my comfort zone was leading an empowerment workshop for a group of twelve transgender women – entirely in Spanish. Thinking back on these experiences, I can explain how meaningful they were to me using two big reasons. First, it opened my eyes to another Barcelona, one that is more real, less perfect and ridden with a deep history of inequality. In this Barcelona, systemic processes like stigmatization and hierarchization perpetuate poor health outcomes in disadvantaged populations. Second, and perhaps most importantly, Médicos del Mundo showed me firsthand how a small local alliance can make hugely influential differences. In 2016, this team designed and launched a docu-web to make visible human rights violations among refugees; they initiated training programs and educational services to teach high school youth about cultural diversity and health inequality. These platforms for social inclusion gave me a kind of optimism that I will bring to my future work in global health, a field that more often than not feels like a collection of problems rather than a discipline. That said, joining this team of passionate individuals who dedicate their lives to advancing health equality was an invaluable experience. Working abroad in a foreign language was undeniably challenging, but the ability to better understand local contexts and narratives was indispensable to my growth as a global health thinker. 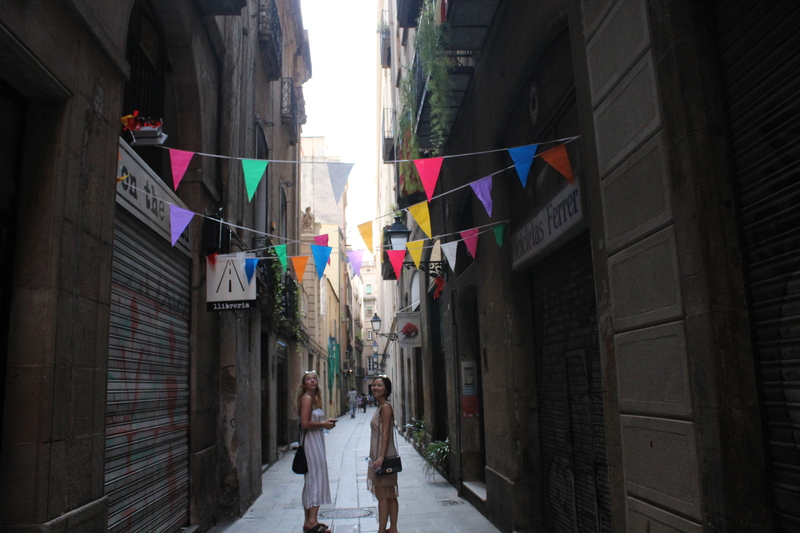 My friend (left) and I (right) strolling through the Gothic Quarters, Barcelona’s oldest neighborhood.